Here is the wide range of Yellow Jade Spiral Electro Pendants at lowest price.This amazing pendant is made from Yellow Jade gemstone with gold plated cap.Yellow jade is believed to aid a poor digestion. 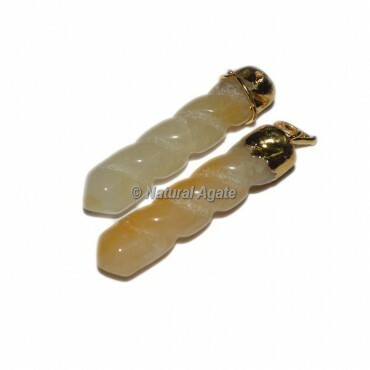 When used close to the body,Yellow Jade is thought to provide protection from one's enemies and can be used to protect one on long journeys. Also to attract good luck, for wisdom, for long life and a peaceful death.